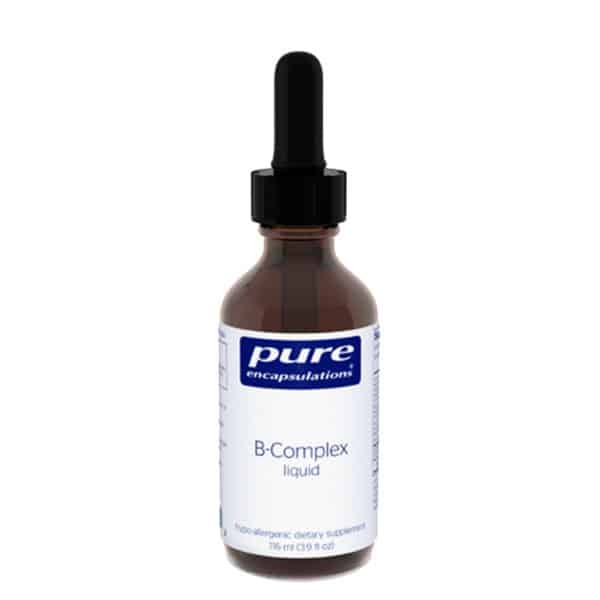 B-Complex Liquid supports energy metabolism and nervous system function. • Vitamin B6 (pyridoxine HCl and pyridoxal 5’ phosphate),supporting amino acid metabolism, nervous system health, and neurotransmitter (i.e. GABA and serotonin) synthesis, which studies have reported may help promote menstrual comfort. Furthermore, pyridoxine supports healthy red blood cells by participating in hemoglobin synthesis and some studies indicate it supports wrist nerve comfort. is required to form adenosine triphosphate (ATP), the key source of energy for the body. Thiamin also promotes neural health. • Vitamin B2 (riboflavin and riboflavin 5’ phosphate), metabolizing nutrients and participating in electron transport to form ATP. Riboflavin is an integral part of fatty acid catabolism or β-oxidation and helps convert folate and vitamins B6 to their active states. • Vitamin B3 (niacinamide and inositol hexaniacinate), supporting cardiovascular health by mediating healthy lipid and carbohydrate metabolism. • Vitamin B12 (methylcobalamin), supporting healthy nerve cell activity and DNA replication. 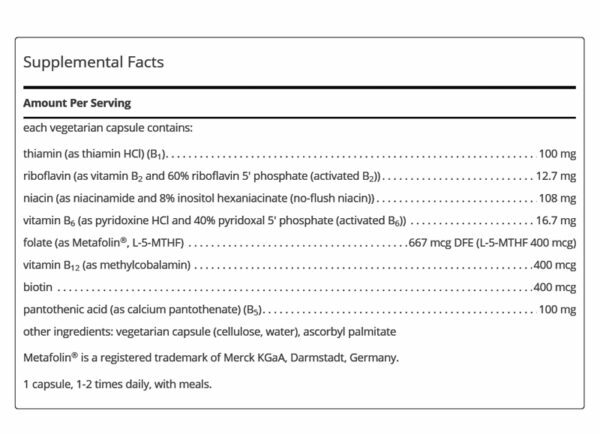 Vitamin B12 is a vital component of the methionine synthase pathway, which along with folate and vitamin B6 supports healthy homocysteine metabolism and S-adenosylmethionine (SAMe) production. • Folate, promoting the production of healthy DNA and chromosomes. Adequate folate status is critical for nucleic acid synthesis and neurotransmitter synthesis. At the molecular level, the main function of folate is to donate methyl groups in key biochemical reactions occurring in blood cells, neurons, the vasculature and many other tissues. 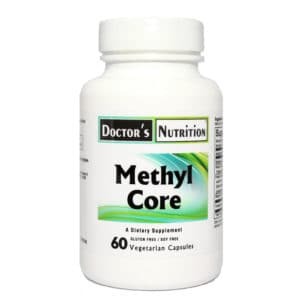 It is provided in this formula as Metafolin®, the naturally occurring universally metabolized form of folate. Metafolin® is chemically identical to the active folate metabolite, 5-methyltetrahydrofolate (L-5-MTHF). L-5-MTHF is the predominant, naturally occurring form of folate in food. Through bypassing several enzymatic activation steps, it is directly usable by the body and provides all of the benefits of folate regardless of functional or genetic variations. In conjunction with vitamins B12 and B6, folate helps to support healthy homocysteine metabolism. Additionally, this B vitamin is important for the growth and reproduction of red and white blood cells. 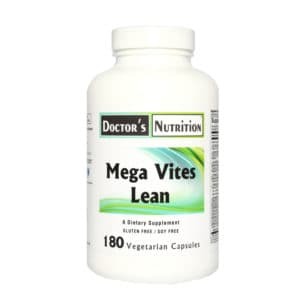 • Biotin, acting as a coenzyme for the metabolism of fat, carbohydrates and protein. Are There Any Potential Drug Interactions? Folate may adversely interact with chemotheraputic drugs. Dosage: 1–2 capsules daily, in divided doses, with meals• Vitamin B5 (calcium pantothenate), supporting cardiovascular health. 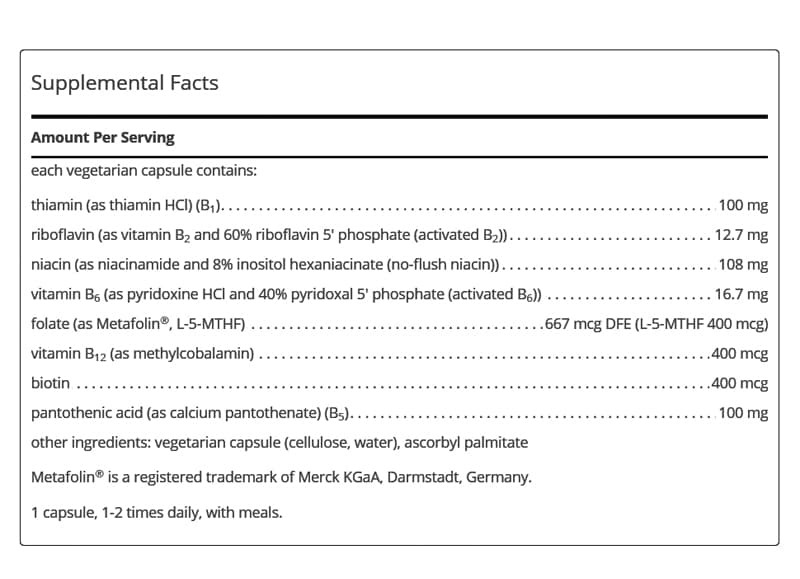 Pantothenic acid is vital in the healthy production, transportation, and breakdown of lipids. Furthermore, this B vitamin promotes the production of the neurotransmitter acetylcholine.